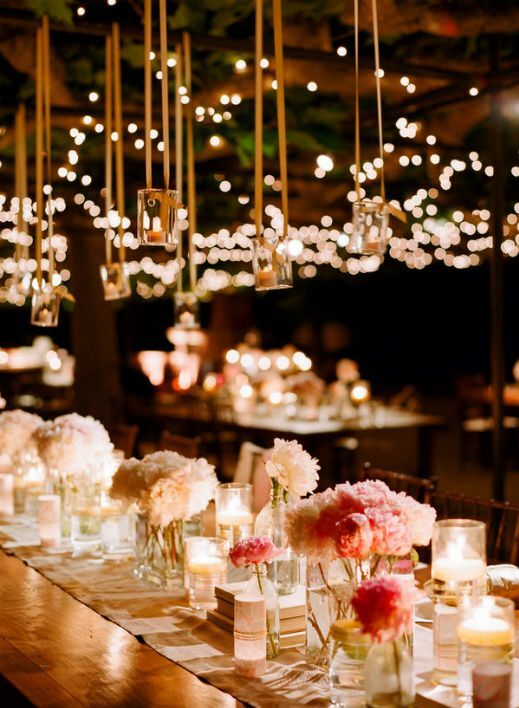 Probably one of the most important feature to focus on in any wedding decoration is the lighting. Lighting adds or takes away from the effect you are trying to go for. Take for instance this photo, there’s a lot of things going on if you really look at it. However you’re not being overwhelmed by them. The reason, the lighting is set to add intimacy which dulls and fades. Also the hanging candles adds a great romantic touch to the room.